An exclusive community, great schools, an awesome location, and a beautifully crafted home. 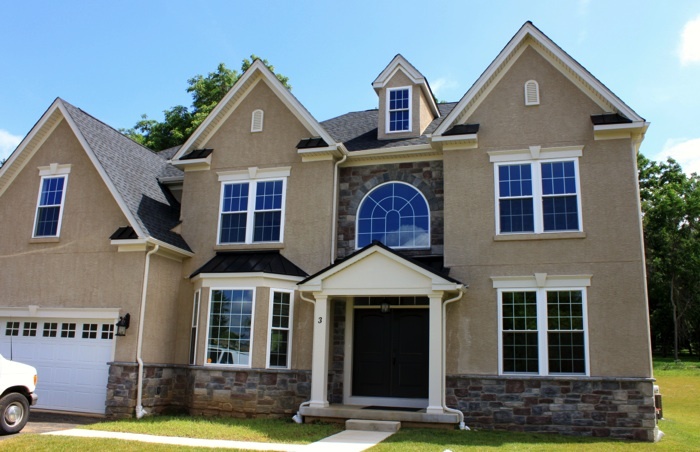 That’s the opportunity currently available to two fortunate buyers at Maple Glenn Court, a 10-home enclave of luxury home in Upper Dublin, Pa. Designed and built by Sal Paone Builders, each home features three or four bedrooms, up to 3 ½ baths, an elegant owner’s bath, two-car garage, numerous amenities and hand-crafted details, including finely crafted decorative moldings, trim and accents. Field finished hardwood floors, 2×4 partition framing and other hallmarks of quality construction are built-in throughout these gorgeous homes. Ideal for families, Maple Glenn Court is part of the respected Upper Dublin School District, and close to many private and faith-based schools. Buy now, and you could be in your new home in time to enroll the kids in one of Upper Dublin Township’s amazing summer camp programs! To learn more, visit the Sal Paone Builders website or contact Vanguard Realty Associates. But don’t wait. Only 2 lots remain, and this opportunity is 2 good 2 be missed. This entry was posted on Wednesday, February 15th, 2017 at 2:35 pm and is filed under Maple Glenn Court, School Districts, Vanguard Real Estate. You can follow any responses to this entry through the RSS 2.0 feed. You can leave a response, or trackback from your own site.